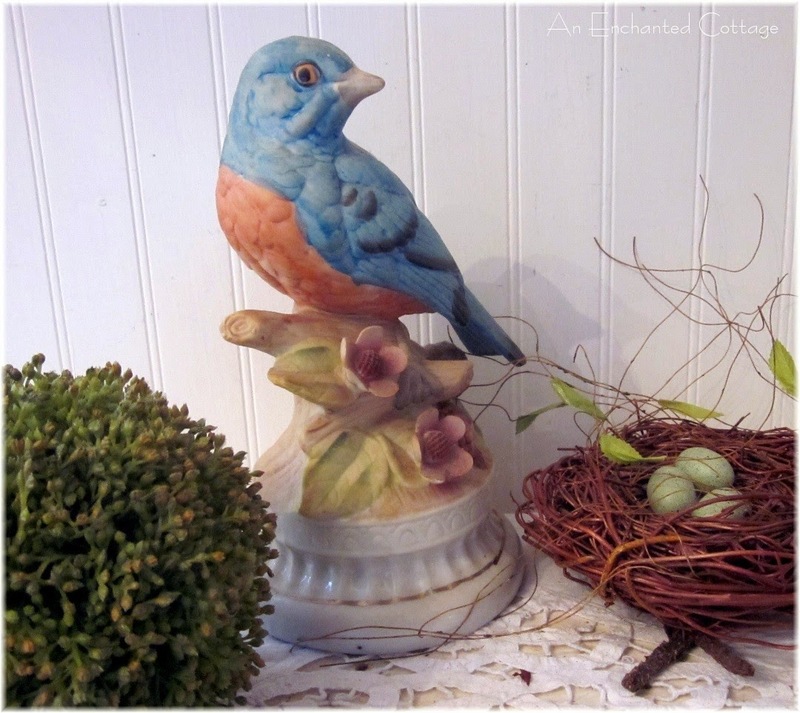 ... who doesn't love bluebirds? 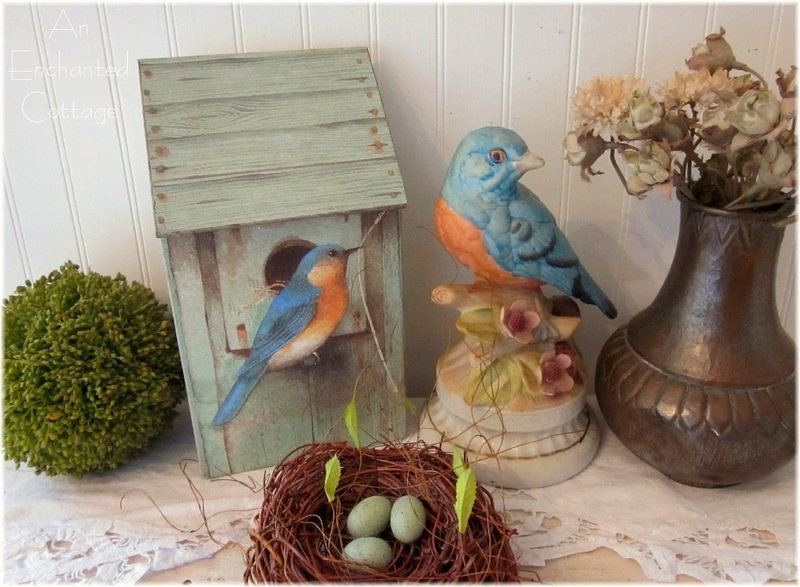 how could I resist the bluebirds? I own this video of Shirley Temple in The Blue Bird. I love Shirley Temple. And bluebirds. And this little green 'bluebird house' storage box came home with me from a thrifting expedition a few years ago because... Well, I think by now you know why. that that's the height bluebirds like! So are we tweaking our yard to make them feel welcome? 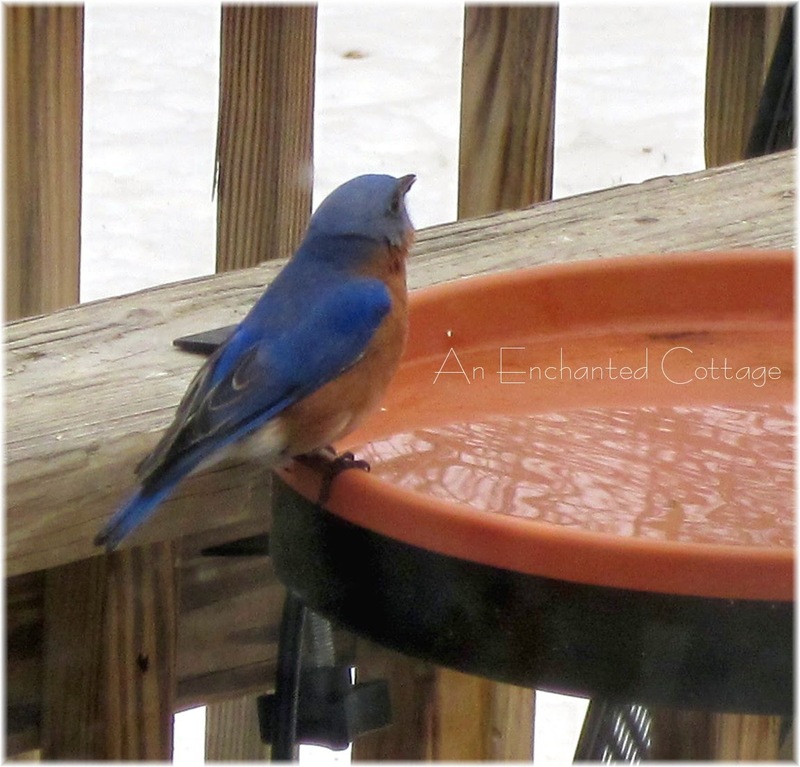 With how you are transforming your yard into a bluebird haven I think we are sisters at heart. I love this! They are lovely birds and you are so sweet to put up houses, and special food and keep the water not frozen. Bless you! I don't think we get bluebirds here but we have blue wrens and they are my favourite. Good Morning Donna! 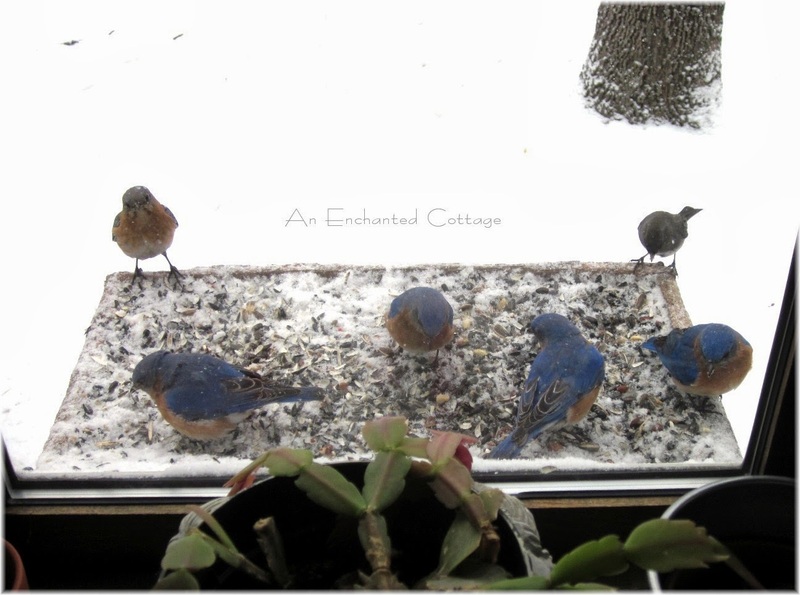 I hope you and your bluebirds are staying warm and that you didn't get hit with this latest round of snow! I just love your little bluebirds and I understand how exciting it is to have them all of a sudden in your life. I am doing everything I can to entice Sammy to visit our yard regularly -- and it is so much fun! 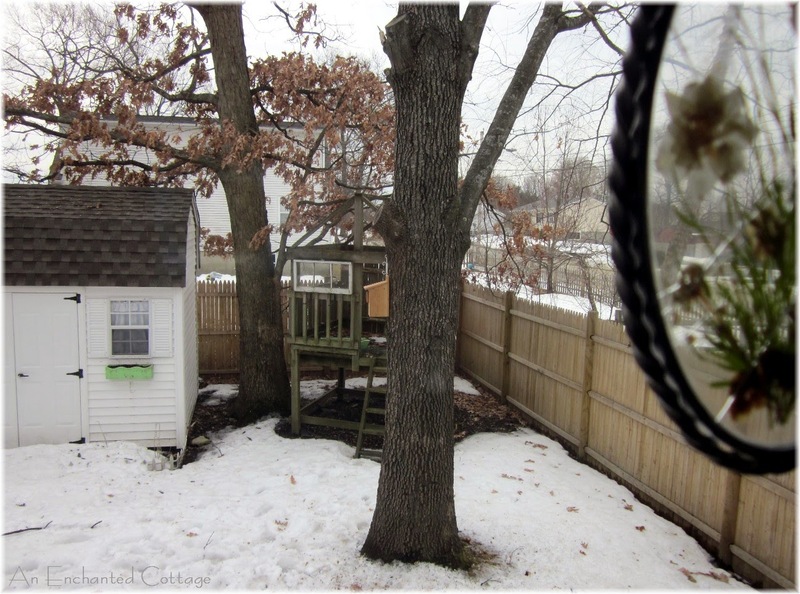 I had a BIG crow in the backyard yesterday trying to steal peanuts -- but even crows can be fun to watch! BBs are my favorite bird too. 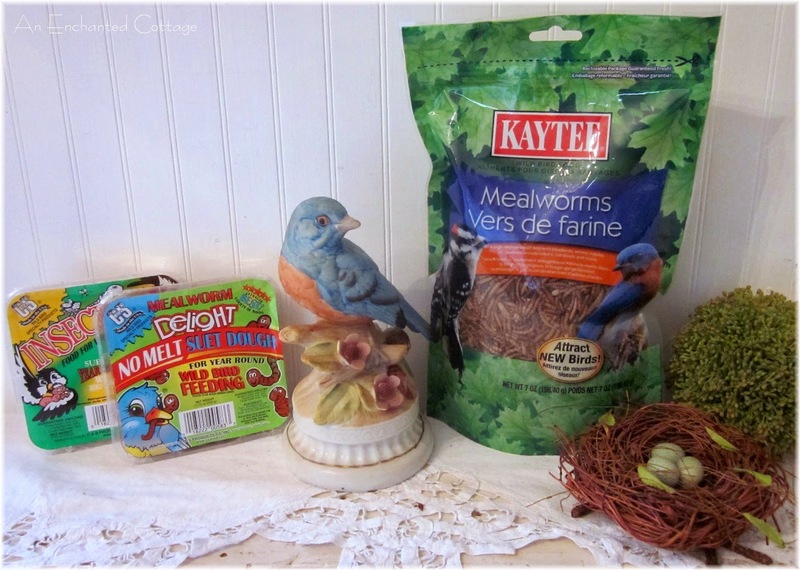 I have two of the butter pat plates with that same BB motif that is on your gray boat.. . .
All those blue birds you've been collecting must have attracted the LIVE ones somehow! How magical! They are beautiful! Yeah, more bluebirds, I'm so happy to see them through you, but jealous because I don't ever remember seeing any in our yard. Sure understand why your trying to keep them their. Awwwww, Donna. 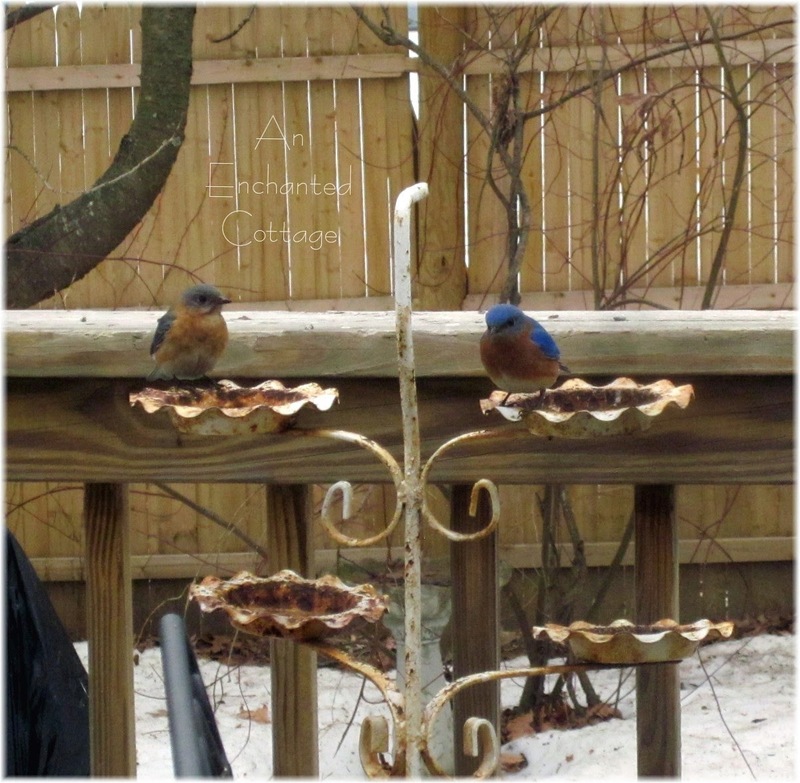 Loved seeing all your bluebirds, both living and not. Hopped over from Amaraland. I live in Southern IN and begin to watch bluebirds both at home and at school when I realized they were in such decline in the area. I've enjoyed showing my gramerlings and students the nests, eggs and babies and watching for the returning birds to our bluebird trail. Love your pictures. 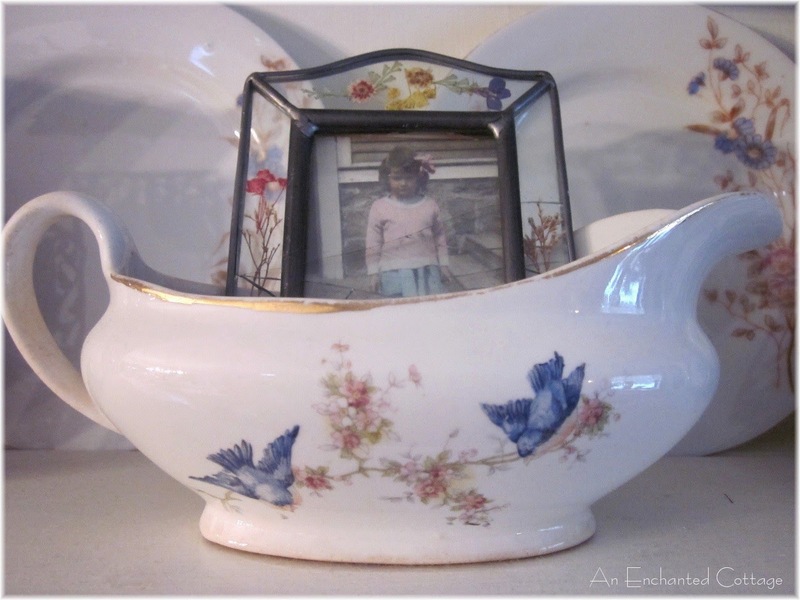 What pretty little bluebirds - porcelain and real. 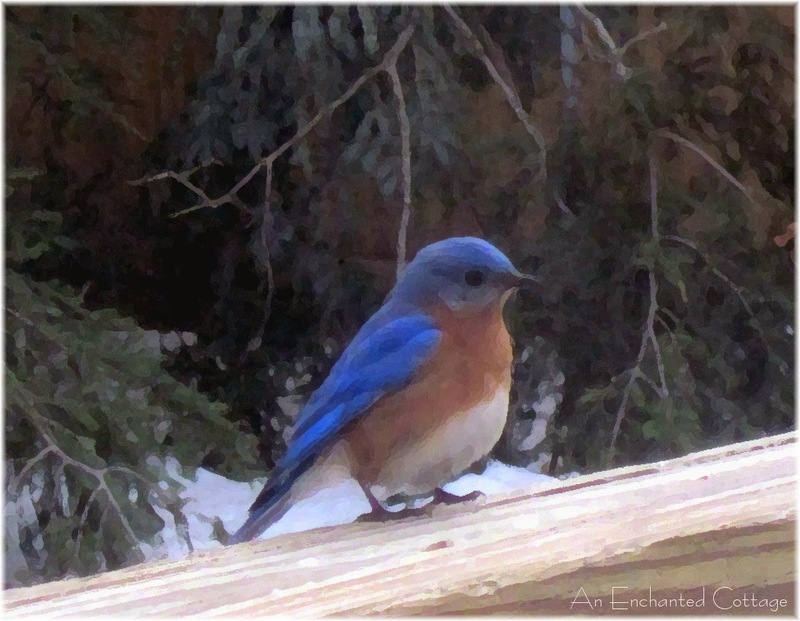 Can you believe I've never seen a real bluebird. Those visiting you are so beautiful. I'd want to keep them around too. 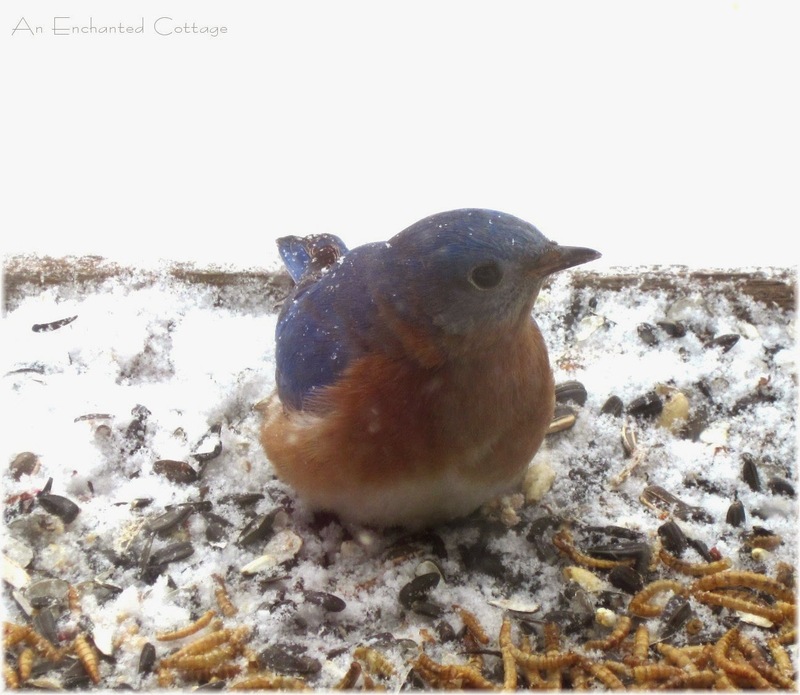 Bluebird houses need to be 4-6 feet above the ground. They also need to be in an open area, such as a field or golf course. 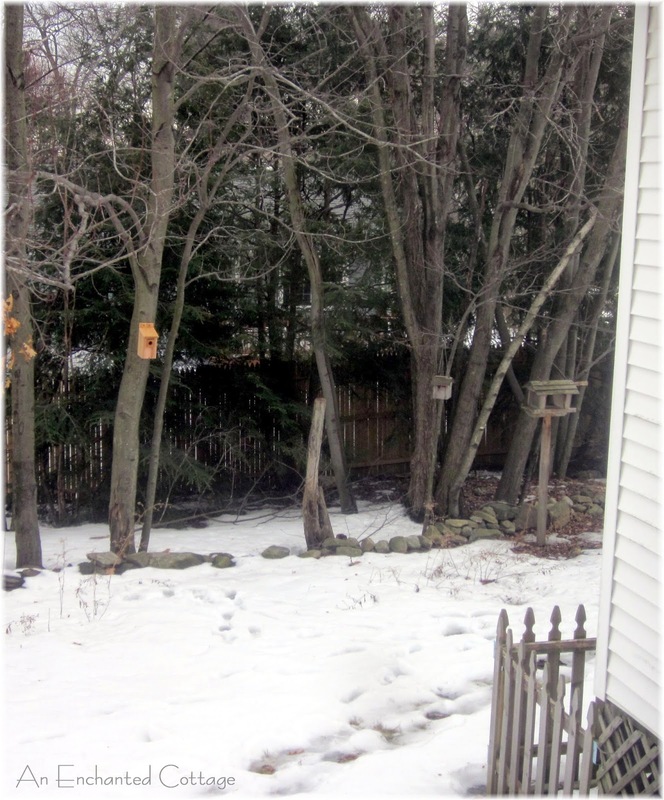 Your boxes will attract other birds because of the trees around your yard. So sweet! I have only seen them on occasion. Each time they took away my breath with their beauty and rarity. It pays to make their environment inviting as you have. I am so happy you are now surrounded both inside AND out! I have really started enjoying "Bird Watching" in these past couple of years. Your photos are awesome.. Thanks for sharing them..